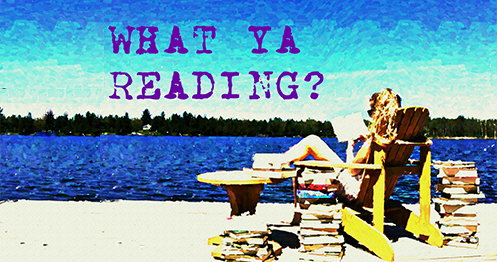 Belles | What YA Reading? Raised in a run-down house on the supposed wrong side of the tracks in North Carolina, Isabelle “Izzie” Scott loves her less-than-charmed life – she and her friends work at the boardwalk and on the beach, her neighbors look out for her, and a cute surfer-boy comes around every day to teach her some board tricks. But when the grandmother she lives with needs to move into a nursing home, a social worker places Izzie with a politically prominent long-lost uncle and his preppy, privileged family, taking her away from everything she’s every known. Unfortunately, inserting Izzie into the glamorous lifestyle of Emerald Cove isn’t going as seamlessly as everyone hoped. Her cousin Mirabelle Monroe is having a hard time integrating Izzie into her school-ruling flock of social butterflies, and, in addition to dealing with all the rumors and backstabbing that lurk beneath their classmates’ Southern charm, a secret is unfolding that will change Izzie’s and Mira’s lives forever. If you are detecting a theme within my most recent reviews, you are not alone. Drama-infused and fluffy contemporaries—or, as I like to call them, beach reads— seem to be all I’m reading this summer. Maybe I need a break from all the paranormal and dystopian books that I’ve been reading, or maybe I just want something that’s easy to understand, but either way I am glad I picked up Belles. The thing that you need to know before digging into this one (which I suggest you do) is that it’s cliché. Belles is more of a medley of borrowed plotlines—from the overused rags to riches to the high school mean girl picking on the new kid—than anything else. Nevertheless, this quality enhanced Calonita’s novel instead of detracting from it, highlighting Belles’s s fluffiness and Southern twang. I’m actually glad that Calonita opted to go the clichéd route instead of striving to be unique, because retelling old stories is clearly one of her skills. Belle’s world building is also exceptionally well done. From Emerald Cove’s lavish prep to school Harborside’s rundown community centre, I almost felt like I was in North Carolina. (Which I am, but that’s beyond the point.) Harborside was one of my favourite parts of Belles; the sense of community was amazing and the whimsical boardwalk was so much fun. I probably enjoyed the scenes set in Scoops (the town’s ice cream shop) a lot more than I should have, but can I help it if Belles is well written? Well written may be an understatement when it comes to this novel. I really felt Mira’s inner conflict; Izzie’s battles became my own. The scenes involving Izzie’s Grams, who has Alzheimer’s, were so evocative that I teared up on more than one occasion. Make of this what you will, but you can’t argue the fact that Jen Calonita can write. Izzie is best described by her favourite proverb: “No guts, no glory”. She grew up in the bad part of town and has been forced to fend for herself and her grandmother for a long time, and has become one seriously tough cookie as a result. However, if you ask her, Harborside isn’t bad at all— just misunderstood. She is the incarnate of many ideals, including a strong sense of family and loyalty to her friends. My only issue with Izzie’s character is that she sometimes felt like a cross between a robot and an inspirational poster, what with her many I’m-a-strong-person-and-I’m-not-going-to-let-them-break-me statements. Mira, on the other hand, is best described by the word ‘doormat’. She has been Savannah Ingram’s BFF for a long time, and has therefore been graced by popularity’s many benefits. To most people, Mira has it all: the quarterback boyfriend, the rich and important parents, the high school It Girl’s favour. But to Izzie, Mira is a gutless Savannah clone. And Mira just may be beginning to agree with her. You may or may not have noticed that our characters are quite mature. This is very true, especially given their age: 15 years old. 15 years old. I frequent a high school and I know how 15-year-olds act—this is definitely not it. So if you have any misgivings about reading Belles due to Izzie and Mira’s age, do not fear—Jen Calonita may be a great author, but she clearly has no idea what she’s talking about when it comes to associating age to behaviour. 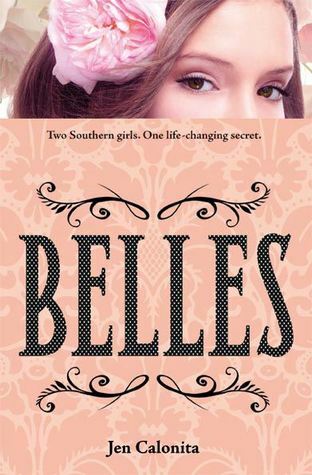 At 4.4/5 stars, Belles is a fun read—probably the best it ever could have been given its clichéd nature. It could probably have used a little more humour, but I’m not complaining.